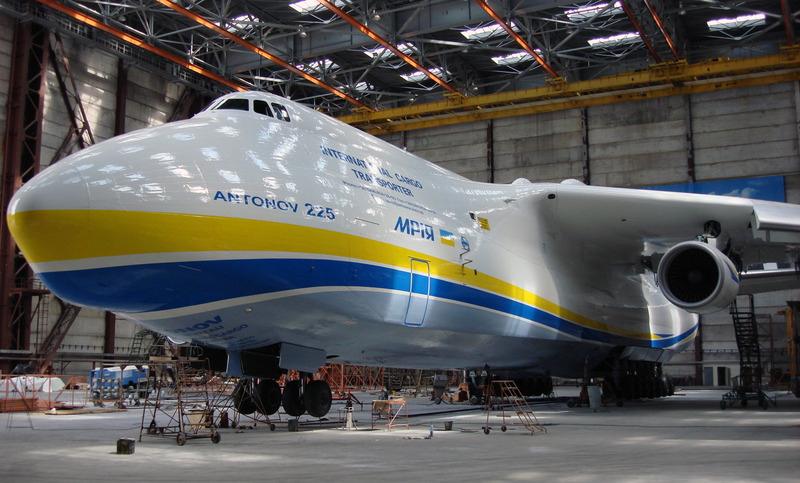 Antonov’s CEO, Kostiantyn Lushakov, declared to the press agency Interfax-Ukrain that 300 M$ were necessary to complete the construction of the second Antonov 225. If the fundings are given the assembly could be finished in 3 years. According to Vyacheslav Boguslaev, chairman of the Motor Sich company, the Russian Defense’s minister Anatoly Serdukov is interested by the assembly of this second plane. Posted on: 2011-05-13 under Mriya. 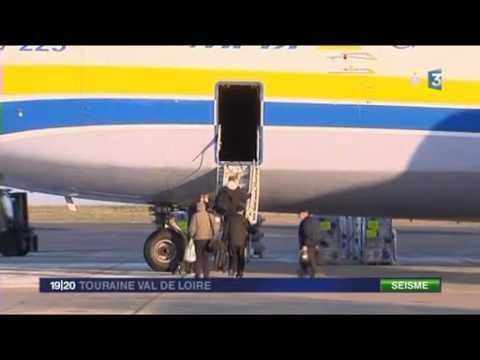 The Mriya landed today morning at the Marcel Dassault airport (France) to bring freight and men to Japan. It will carry 140 tons of various materials (especially made to work in contaminated environment) such as robots and construction vehicles. The French specialists are made of volunteers and will help their Japaneses counterparts to work on the nuclear power plants. 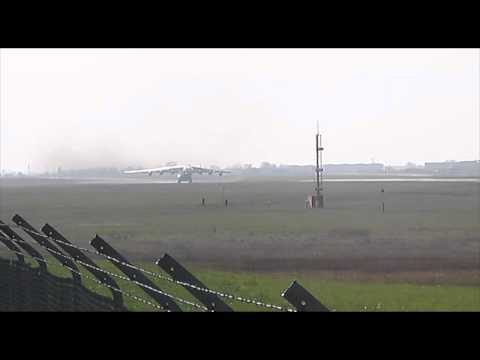 Update (28/03/11), lift off of the Mriya from the Marcel Dassault airport. Posted on: 2011-03-21 under Mriya. On last September 29 was a tsunami, caused by an earthquake 200km South West of the archipelago, which devastated the american Samoa’s island and killed about 200 people. The islands were severly damaged and many installations were destroyed or badly injured, like two electrical power plants. The american president Barack Obama declared the Samoa islands in emergency state: he allocated a federal subvention to help the assistance. The FEMA arraigned to fly in some replacement generators, that arrived on the 13th October. The Mriya touched down in the early hours and left late afternoon after discharging ten large generators, fuel tanks and other equipments. Thanks to Derek W. for the pictures. Posted on: 2009-10-15 under Mriya, Non classé. 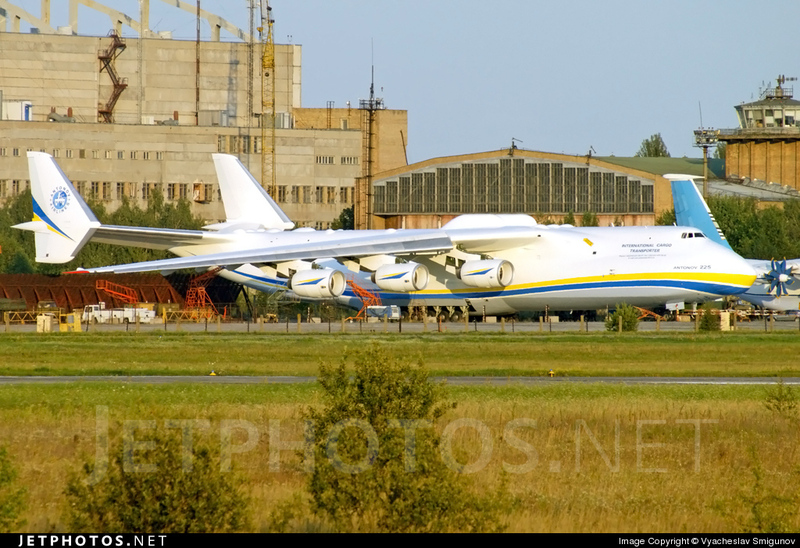 The Mriya landed yesterday at the Hahn airport (Germany) to carry an Alstom generator of 190t. 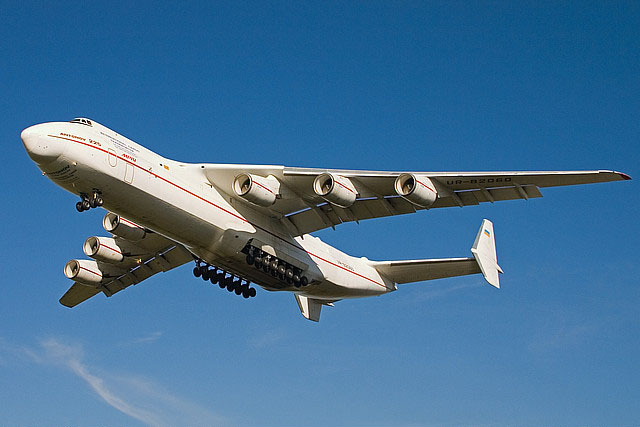 This generator is the heaviest indivisible piece of hardware ever transported by air and shows again the superiority of the AN-225 in heavy loads transports. This piece will be use in an Armenian gas factory. In total six travels will be necessary, the first four was accomplished by AN-124 (lighter version) and the last two will be by the Mriya. Posted on: 2009-08-13 under Mriya. 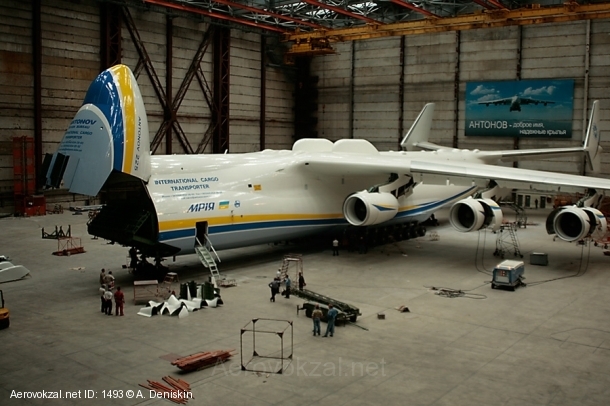 Antonov Airline gave a youth bath of the Mriya. Indeed, during the last weeks the company renewed the pattern on the fuselage, the previous, inherited from the soviet time and a little bit austere, was replaced by a new one more in the spirit of the time. The colors used are the ones of the Ukrainian flag. This last, located on the tail, was replaced by the company logo. 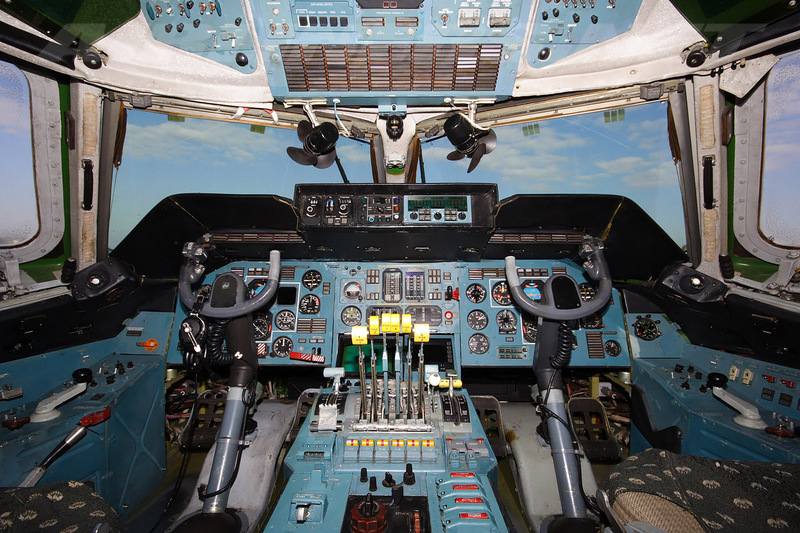 Other pictures of the Mriya in the gallery. Posted on: 2009-08-02 under Mriya. This week was the centenary of the Paris Air Show in Le Bourget. Indeed it was in 1909 that the first edition took place, it was at the Grand Palais in Paris and was named « International Exposition of the Aerial Locomotion ». But this year is also an anniversary, the one of the coming of Buran in Paris. 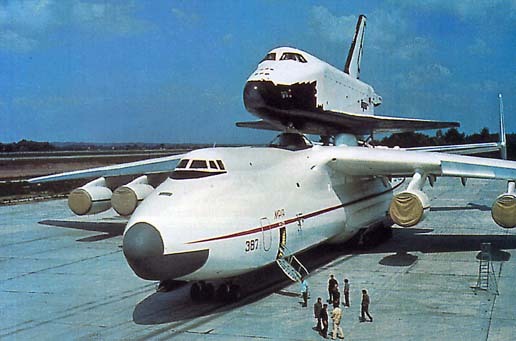 After its first flight in 1988 the space shuttle Buran OK-1.01 was bring to Paris piggybacked on top of the Antonov 225. 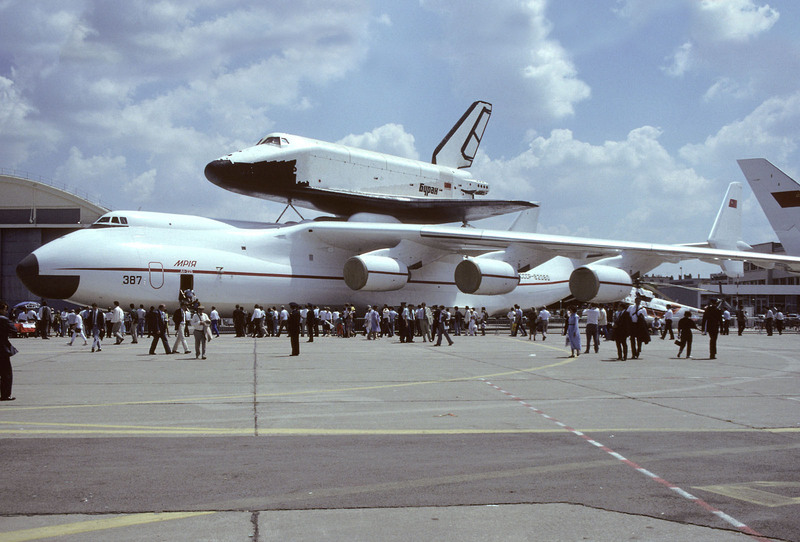 This was the first time Buran was shown to the public and the first time westerners could admire the Mriya (it was presented to the medias at Kiev in February 1989). The Antonov took off with Buran from Baikonur on March 21, 1989 to Kiev, 2 days later it brought Buran to Moscow at the Zhukovski airbase before returning to Kiev. 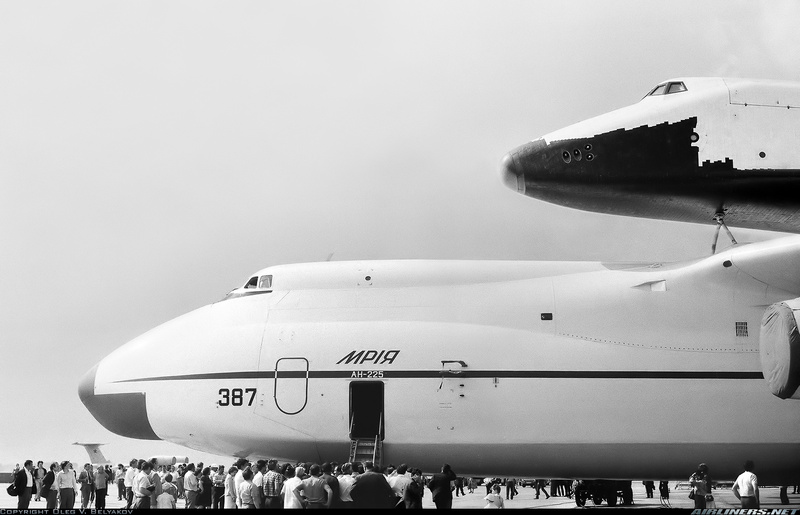 On June 7 Mriya-Buran flew a non-stop flight of 3.5 hours to Paris to land at Le Bourget and become the main attraction of the show. The observers were amazed to see Buran transported through lite rain. 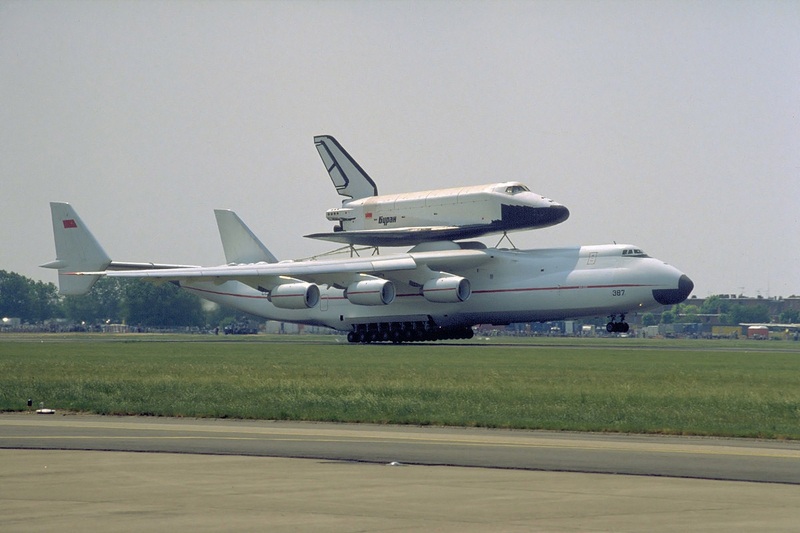 The American shuttle piggybacked on top of the Boeing 747 never flight during rainy weather nor through clouds, moreover it is preceded by 150km by a fighter plane to inform it of weather conditions. Such plan wasn’t set up for Mriya-Buran even if French Mirages escorted it from the border. 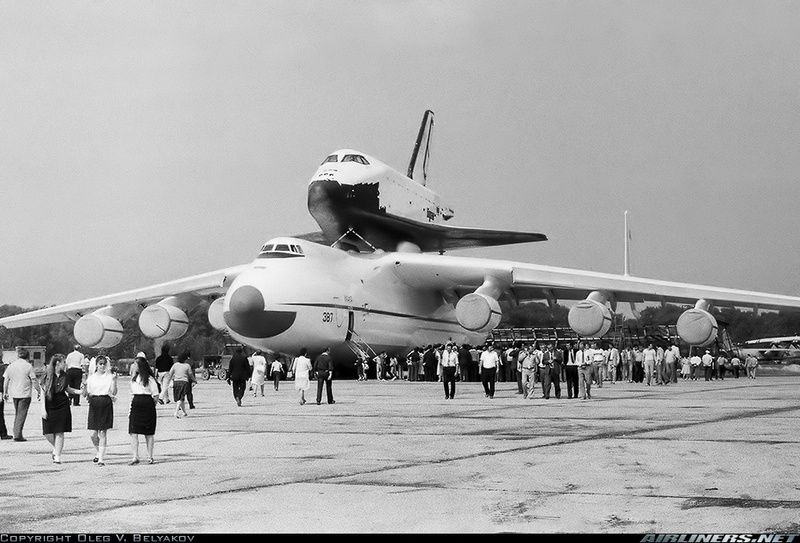 Other pictures of Mriya-Buran at Le Bourget and at Zhukovski in the gallery. Posted on: 2009-06-21 under Buran, Mriya. 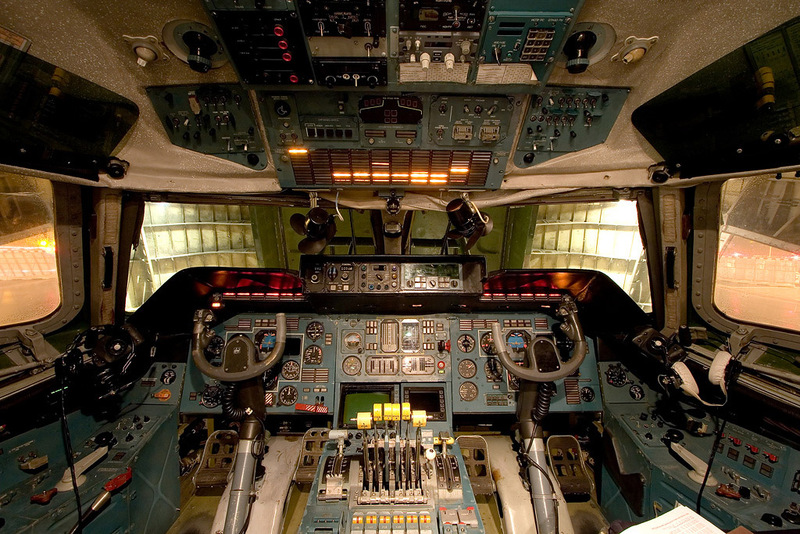 Here is some pictures taken inside the Mriya. 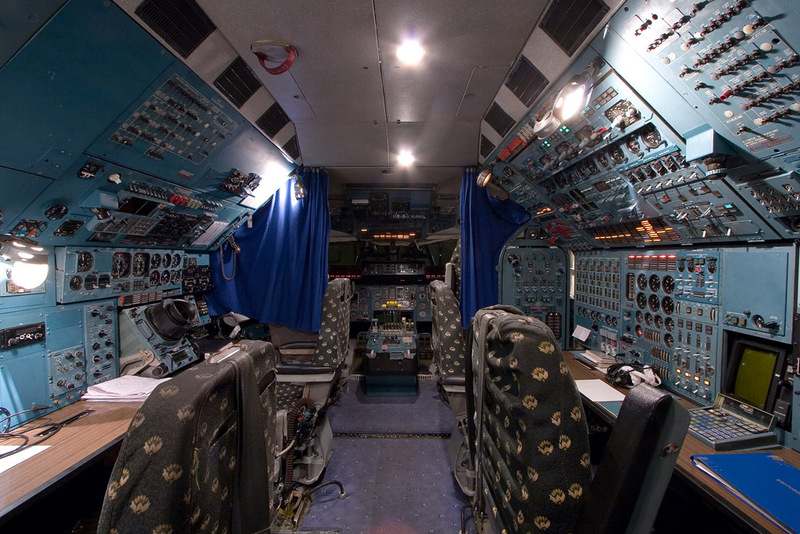 There is some pictures of the cockpit and one more uncommon of the machineries room. Other pictures of the Mriya. 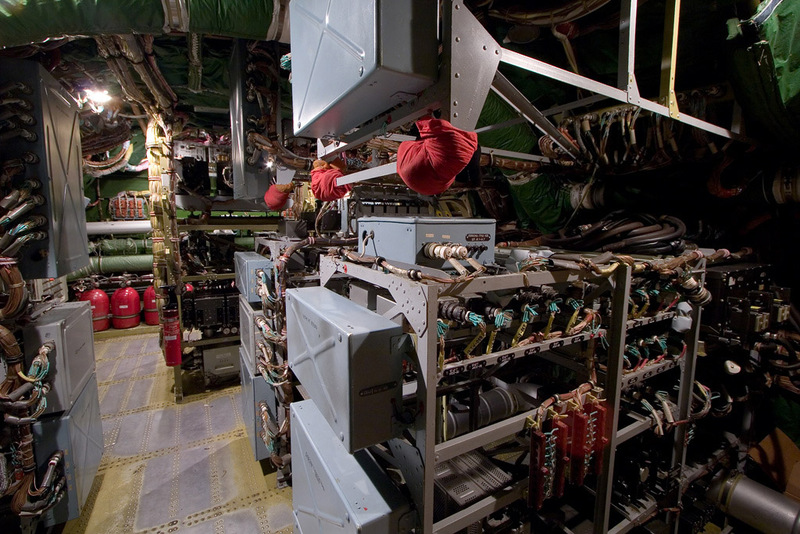 Posted on: 2009-06-07 under Mriya, Web Site.